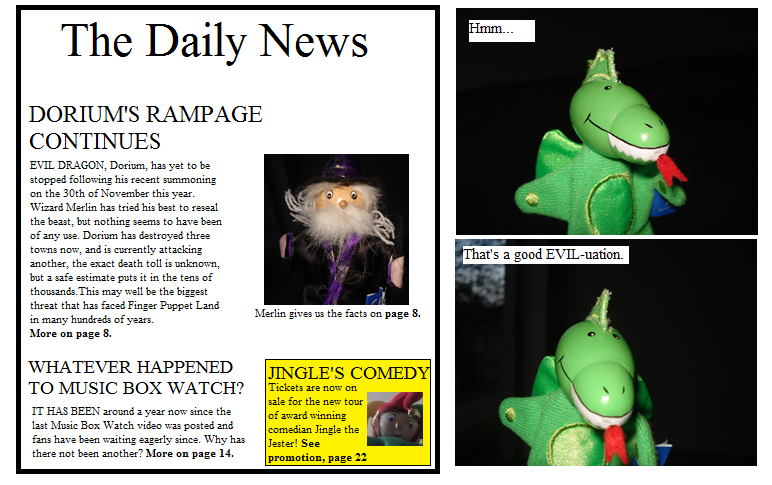 I must admit that I was a little lazy with today’s Finger Puppet Show, I didn’t take any new photographs for it. The pictures of Merlin and Dorium were ones that didn’t get used, but were left over, from the photos I took for this strip, which this is a follow up to, and the picture of Jingle was taken directly from this strip. I have a really good one (or at least, I’m very proud of it) due for either Christmas Eve or Christmas Day though, so, keep an eye open for it!